The 16th Annual YMCA of Catawba Valley’s Turkey Trot 5k & 10K supports kids and families in Catawba County by helping make YMCA programs accessible to everyone. 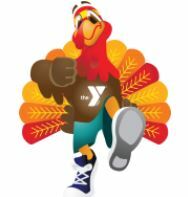 So, why not lace up your running shoes & burn some extra Turkey Day calories while supporting this wonderful YMCA program! The Hickory Foundation YMCA invites the public to participate in the 16th Annual Turkey Trot on Saturday, November 19th, 2016. The event includes a Youth Fun Run – 5k Walk/Run – 10K Run. The YMCA of Catawba Valley’s Annual Turkey Trot is for all ages. New 5 year age divisions! The race day is Saturday, November 19th. 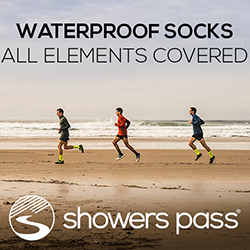 Packet pickup is on Friday, November 18th from 3pm – 7pm. The Youth Fun Run begins at 8:30am. The 5k / 10k walk/run begins at 9:00am. The award ceremony, including trophies & turkeys will be held after the race at 11:00am at the Teen Center for the top male & female in both the 5k and 10k. The Youth Fun Run will be held at the Hickory Branch outdoor running track. Maps will be provided for the 5k / 10k Run/Walk. The award ceremony will be held at the Hickory Branch in the C.O. Miller Teen Center. 5k & 10k start at 9:00 AM.